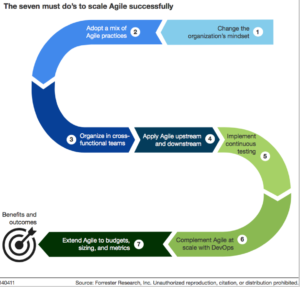 Agile is still alive and well and in demand, according to Forrester’s Agile adoption panel. This year, our biannual survey tracking the health of Agile initiatives focused on the main challenge: Agile at scale. As software teams get further along their Agile transformation, they find that, despite some improvements, scaling vertically and horizontally remains their biggest obstacle. This year’s survey respondents include firms currently adopting Agile or Agile+DevOps or scaling up their adoption; beginners and advanced practitioners; and tech companies and large enterprises alike. 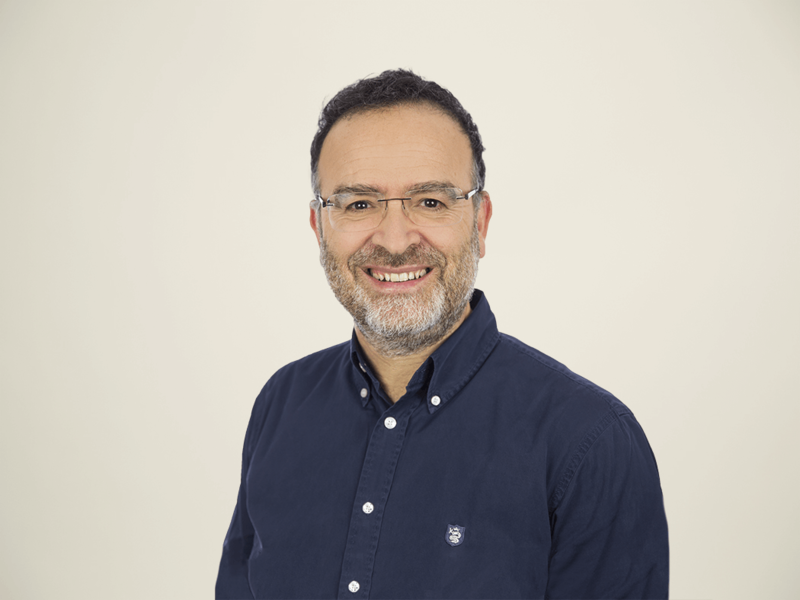 They all shared the Agile experiences of their company, division, or team with us, and Research Associate Luis Deyá and I have uncovered some interesting insights from the resulting data. Half claim that culture and behavior are still the top impediment. Agile adoption requires the creation of new types of jobs, roles, and collaboration processes that reflect a new mindset based on Lean/Agile values and principles. 44% say that their firms lack skilled product owners from the business. Thirty-one percent say that business product owners at their firms don’t commit to spending time with development teams. Enterprise-scale Agile is still a dream for many. Most respondents indicated that their organizations only focus on spot efforts to adopt Agile. But it gets better: 30% apply Agile at the product value stream level. And 20% claim that they’ve had the courage and the guts to execute a “big bang” Agile transformation as companies like ING, PayPal and others have done. 30% consider the lack of executive leadership on Agile transformation to be a barrier. Without executive support, Agile transformation is limited to grassroots initiatives — a very slow and difficult road. Many lack upstream Agile skills; it gets worse downstream. Upstream Agile includes project management frameworks like Scrum or SAFe; Agile engineering practices like continuous testing are downstream. The market for Agile at scale is maturing; signs are that firms are paying more attention to the impediments above and additional ones like Agile budgeting. Financial and budgeting Agile practices is one of the reasons SAFe is getting attention, although SAFe adoption fell from 34% in 2015 to 28% in 2017. You can compare more of 2017 Agile Adoption data with the 2015 data here. There is more good news: 42% of enterprises claim that they are running both Agile and DevOps programs as a single transformation, truly helping end-to-end agility. We believe that is a the new must ! Survey data shows that there are noticeable differences in the benefits achieved by companies running Agile and DevOps as separate initiatives. Large majorities of those doing Agile+DevOps a joint program enjoy more benefits such as faster solution delivery (84%), more frequent releases (88%), and faster business value (88%). Forrester clients can download the report here. If you have comments or questions or want more insights into the data, contact us at dlogiudice@forrester.com and ldeya@forrester.com.